If you are using a Logitech mouse with your Windows 10 PC, you probably know that the mouse starts working immediately after connecting it to the PC without having to install any additional device driver or software. While this is good, Windows 10 doesn’t allow you change the default actions of your mouse buttons. You can only interchange left and right mouse buttons, and change double-click speed. If you mouse has a more than a few buttons, you cannot change their default actions via the mouse settings in Windows 10. 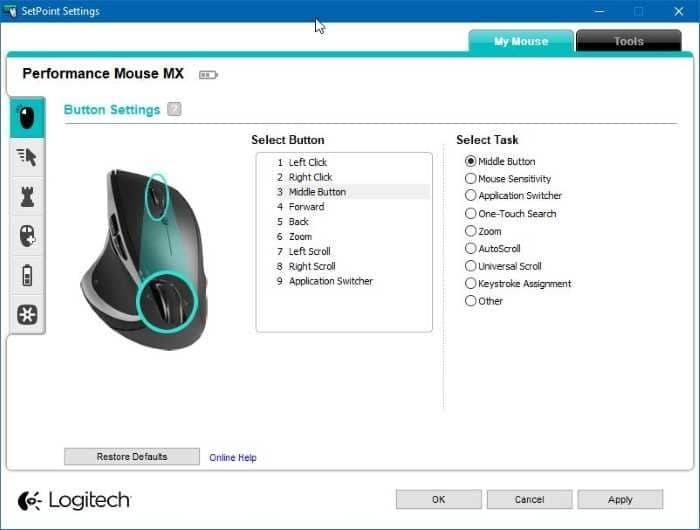 In short, if you have a Logitech mouse with more than two buttons, Windows 10 cannot help you to configure or change default actins of various buttons and wheels on the mouse. 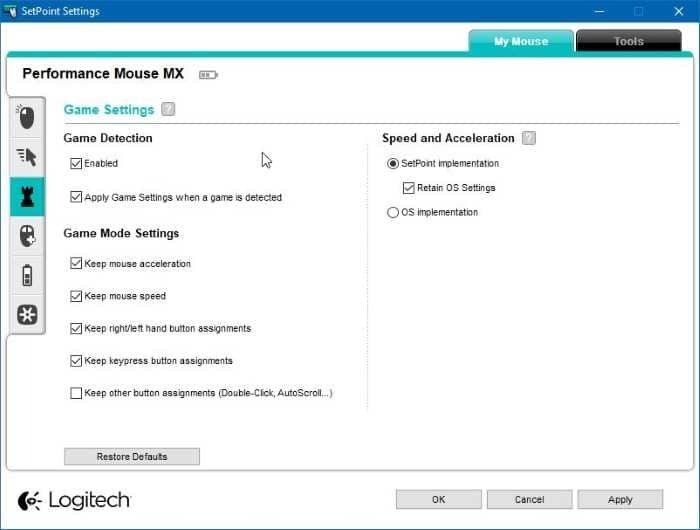 Logitech offers its own software for its mice. Interestingly, it offers different software for different mice. For instance, there is Logitech SetPoint software for some mice and then there is Logitech Options for some other mice. Logitech Gaming Software is also exist for gaming mice. So, you need to select the correct mouse while downloading the mouse software. 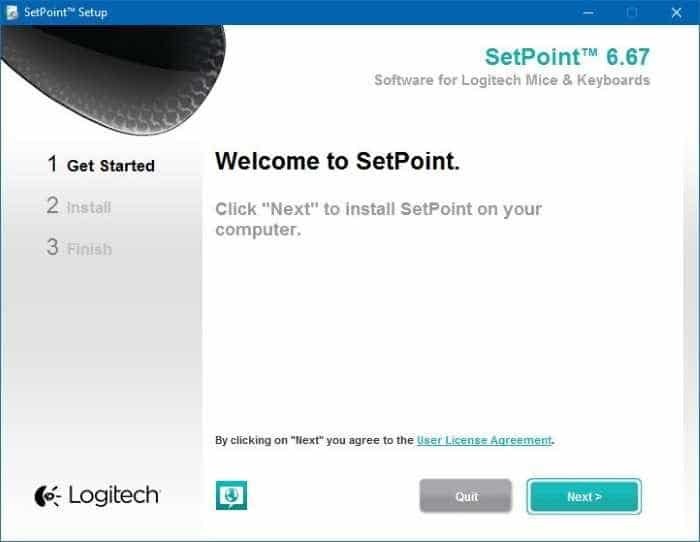 All these official Logitech mouse tools for Windows 10 and earlier versions help users to configure default actions of the mouse. By installing the right mouse software, for instance, you can choose what happens when you press the left click, right-click, middle button, and other buttons on the mouse. You can also enable and configure application specific mouse button actions. That is, for instance, you can configure one or more buttons on the mouse to perform different actions when it’s being used in different applications. 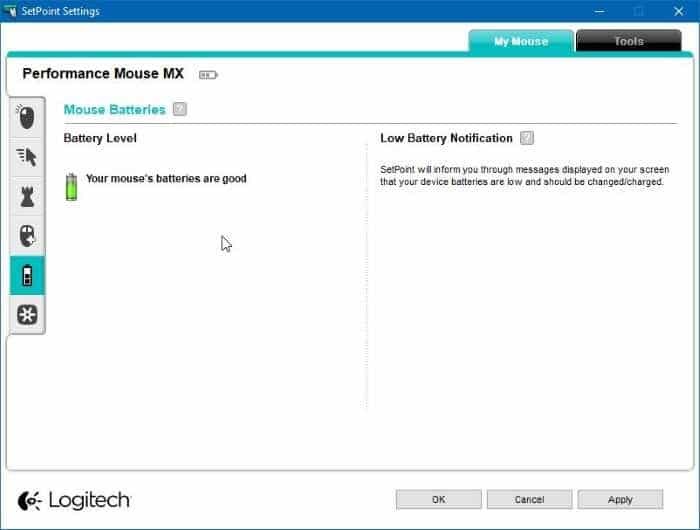 The mouse software also enables you view the battery level of the mouse and health of the battery. It also offers an option to display a notification when the battery level is low. Options to change the default speed of mouse pointer and use game mode for mouse are also present. Visit the following page to select your mouse and download the mouse software for your mouse. As said before, be sure to select the correct mouse to download the correct mouse software. Click on your mouse and then click Downloads to see the download option for the mouse software.